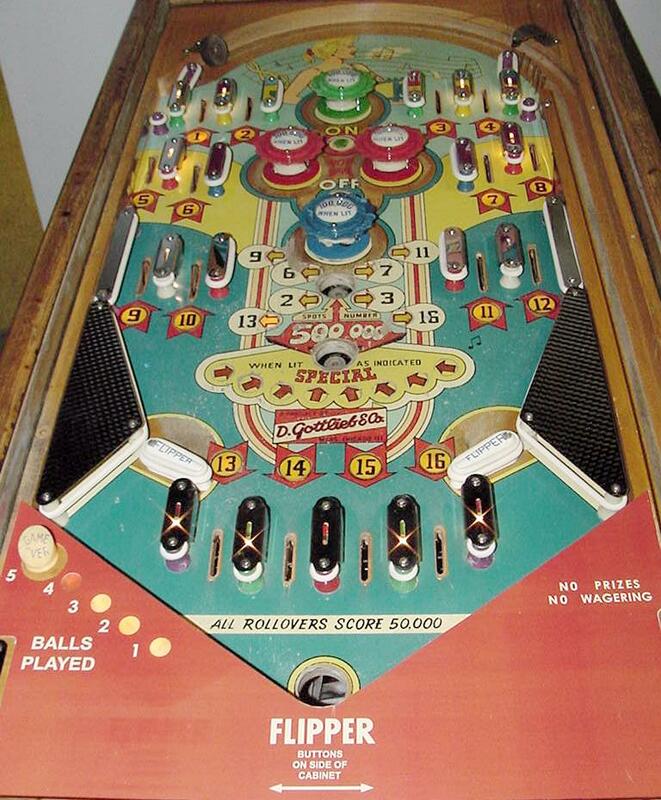 Description: Sweet Add-A-Line, Gottlieb, 7/55, 800 produced, 2 gobble holes, "balls played" ball arch lights, a rollovers style game. 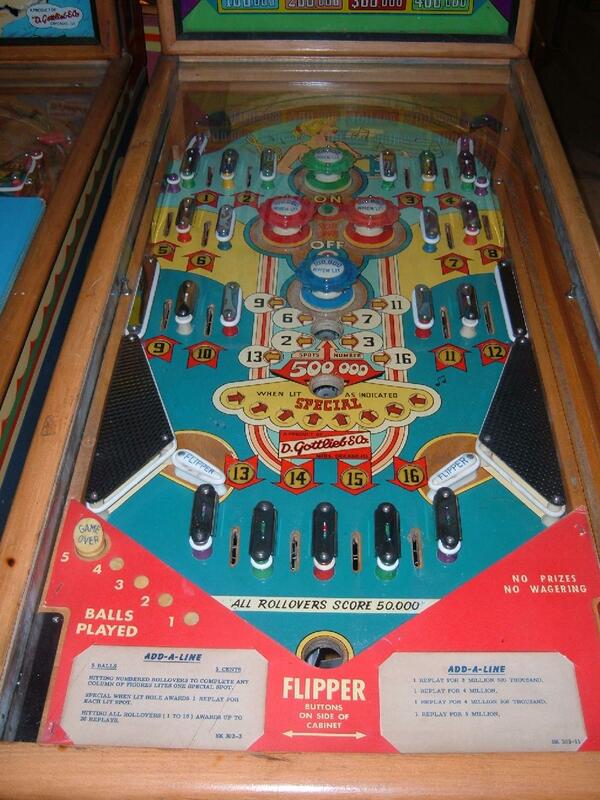 Replays won by high score, or by unlighting the rollovers. 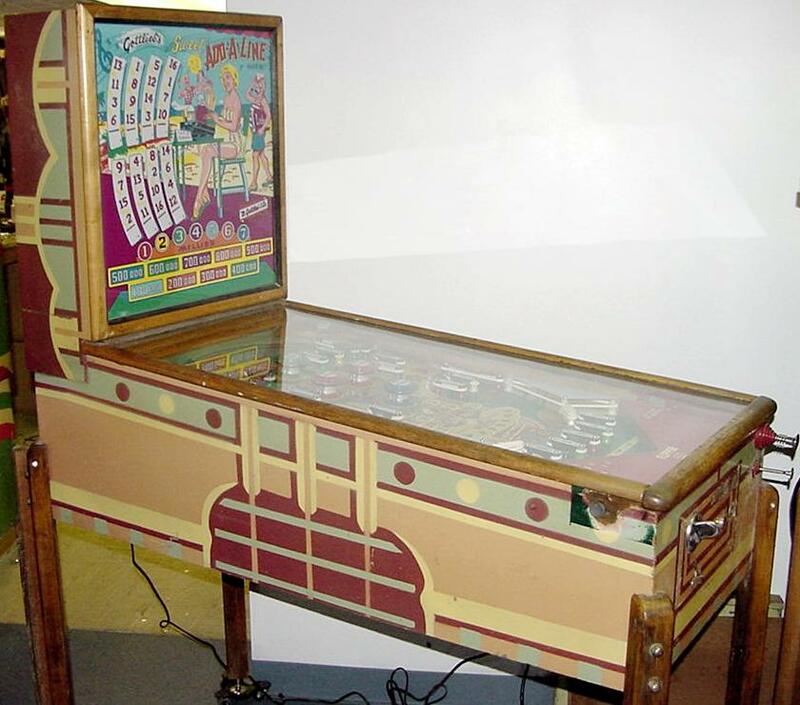 If you can unlight all the rollovers, player wins 26 credits as soon as the last rollover is unlit (assuming the credit unit is currently at the zero position). 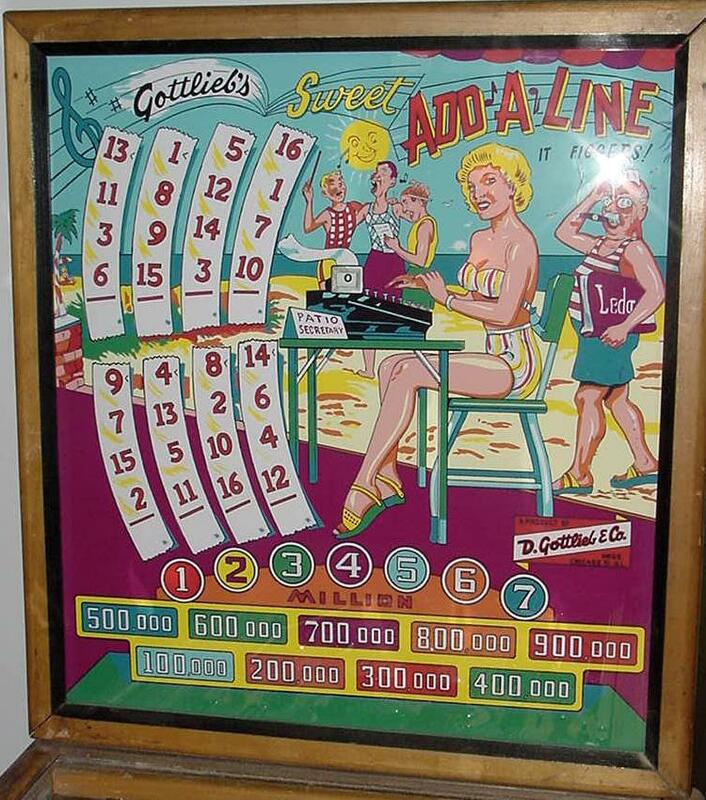 Sweet AddaLine does this by turning the score motor and continually adding games to the credit unit until the max-credit switch opens at 26 credits (Gottlieb credit units only go to 26 credits). The lower gobble hole can also score multiple credits (one credit for each lit arrow, up to 8). 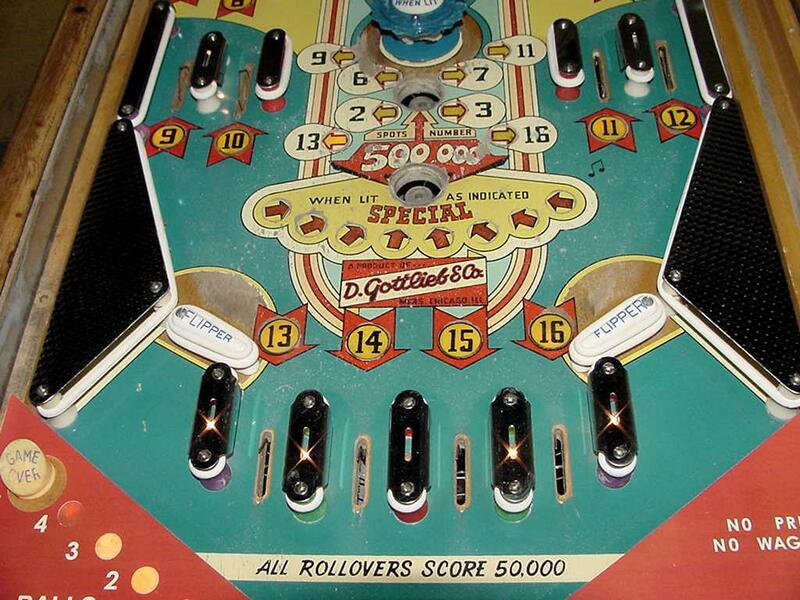 The Special arrows start to light for the lower gobble hole after 10 or 11 of the 16 rollovers are unlit. 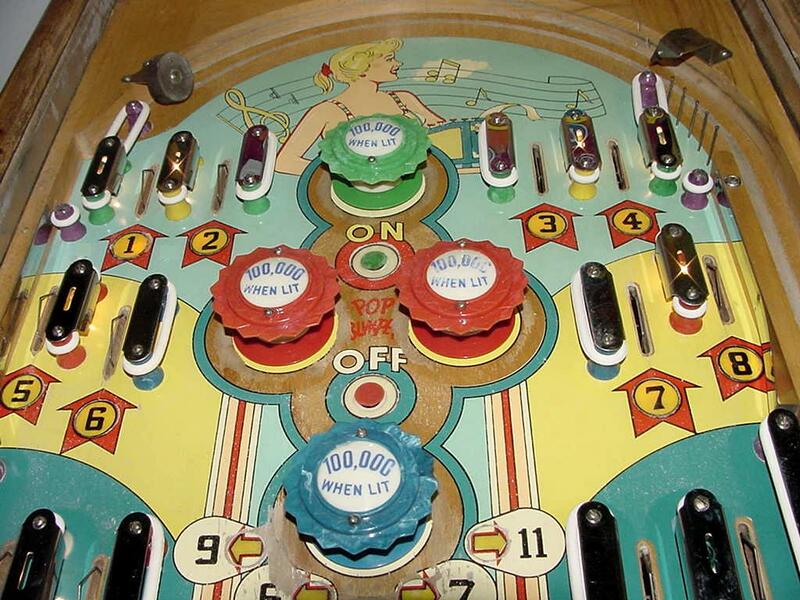 Woodrail pinball with artwork by Roy Parker. The mate to Gypsy Queen (though not exactly the same, they are quite similar).